With climate change top of the agenda in most countries, more people with sharp ideas than ever before are needed to combat global warming. One Mexican company has taken that quite literally, harnessing the power of the prickly pear cactus to produce biofuel. 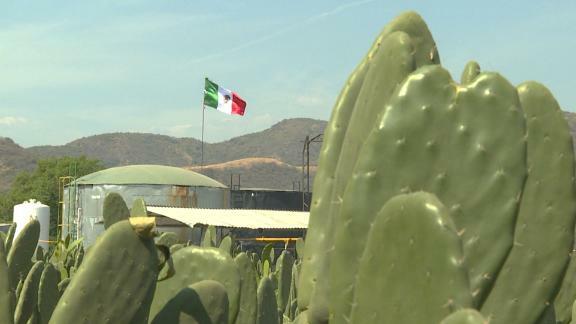 Described as the "green gold of Mexico," the nopal plant -- already a staple in Mexican diets, medicine and cosmetics -- is pureed and mixed with manure by a clean energy company called Nopalimex. The mixture is then left to decompose, a process which produces methane. Located in Michoacán, central Mexico, Nopalimex uses the methane -- around eight tons daily -- to fuel a machine called a biodigestor, which powers their corn chip and cactus chip production. But they have also been testing the leftover mixture in local government vehicles in the nearby city of Zitacuaro. In 2015, the company became the world's first cactus-powered plant with the aim of finding a renewable alternative to fuel, while also creating social and economic benefits for Mexico. As long as the nopals are regularly replanted, the process is almost entirely sustainable, producing only water and nopal waste which can be used to fertilize crops. Nopalimex say the biogas will cost just 12 pesos (US $0.65) per liter, around a third cheaper than the cost of regular gasoline and estimates the fleet of buses and cars with the modified tanks will reduce their gasoline use by at least 40%. Cactus-fueled clean air? That's sure to prickle the fancy of Mexicans everywhere.